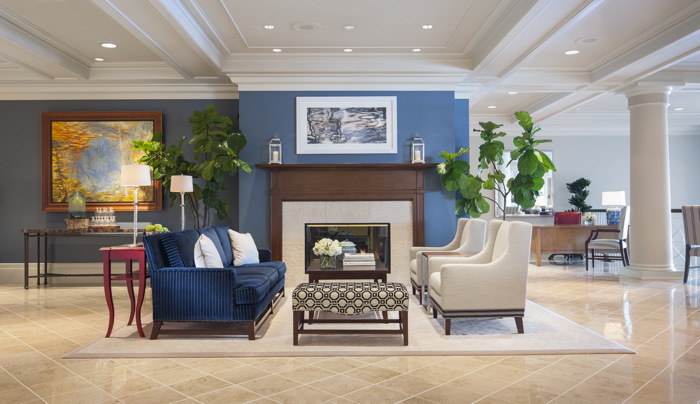 The Woodmark Hotel and Still Spa, a Destination Luxury Hotel located in Kirkland, Washington has selected OpenKey, the industry standard for universal mobile key, as their provider of choice for keyless room entry. Guests at The Woodmark will enjoy a high-tech and seamless experience courtesy of the OpenKey and MIWA Lock integration. Voted as Top Hotel in The Pacific Northwest & Alaska by Conde Nast Traveler 2018 Readers’ Choice Awards, The Woodmark Hotel and Still Spa seeks to empower their guests by continually expanding their world through experiences that are distinctive and, above all, genuinely true to place. Located just 15 minutes outside of Seattle on the picturesque shores of Lake Washington, The Woodmark counts on three signature restaurants, a full-service spa and a top-of-the-line fitness studio. Whether guests are staying for work or play, they can enjoy endless outdoor recreation options such as kayaking and boat tours. The AAA Four Diamond award-winning hotel combines personalized service and luxury lifestyle amenities. To top it all off, modern conveniences such as OpenKey’s mobile technology empowers guests to use their smartphone for keyless room entry and express check-out options. They can also access hotel directions, dining options and Wi-Fi information on their mobile devices. The Woodmark is combining the OpenKey platform with MIWA digital locks. The MIWA Lock Company, Japan’s foremost provider of high-performance locks and security systems has an exclusive partnership with OpenKey as the mobile keyless entry system for all MIWA digital locks with Bluetooth Low Energy functionality. OpenKey has revolutionized the hotel industry and continues to reshape the standard for guest service. Its innovative key technology works with 90 percent of all digital hotel locks and is both user-friendly and affordable. The Woodmark Hotel and Still Spa is the only luxury boutique hotel on the picturesque shores of Lake Washington. Within 15 minutes of Seattle, Redmond, Bellevue, and Woodinville Wine Country, our boutique waterfront hotel combines personalized service, luxury lifestyle amenities, and a serene lakeside setting. Be inspired to accomplish more, or simply immerse in local life. Close to everything, but far from the everyday – The Woodmark Hotel and Still Spa is a stunning location for waterfront weddings, inspired meetings and events, family getaways, corporate retreats, and romantic escapes.